Mmmm, even a dragon would approve. 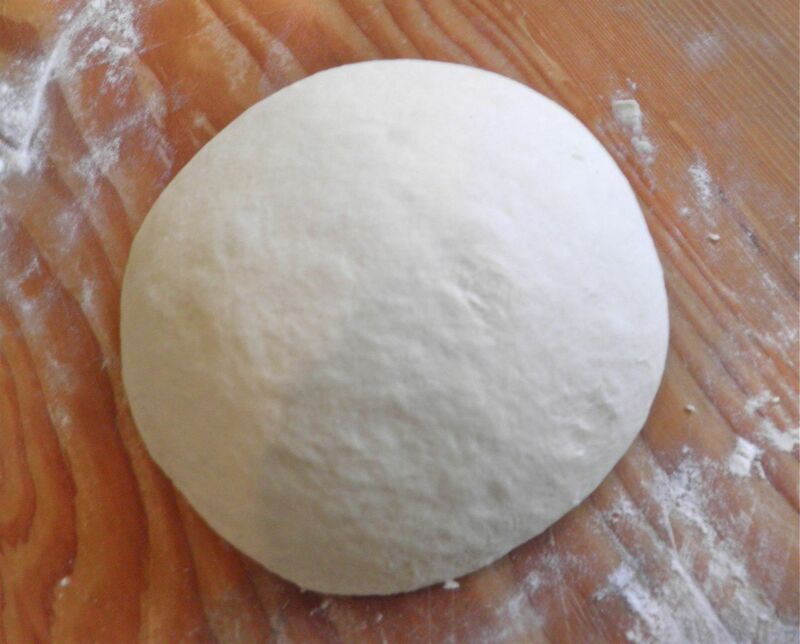 Truth be told, I did knead, ever so briefly, to bring it all together initially and for about a minute or two in the morning. Certainly not labour intensive. I'm in "moving mode," being down in the country cleaning out the house so we have room for our stuff next weekend. I actually think the house will be ready for us. What a relief. I was having little panic attacks last weekend looking at the amount that had to be done. 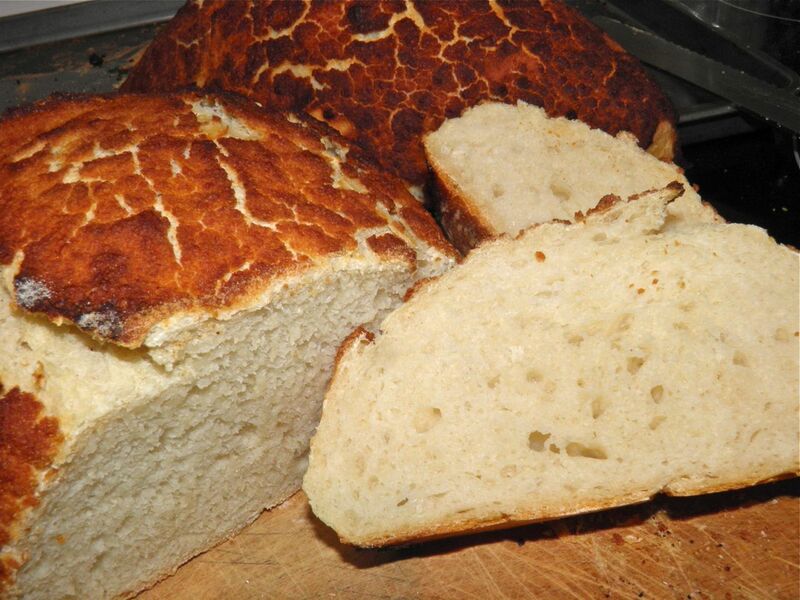 But one must eat, and homemade bread is always a good thing to have on hand. This time I wanted to do something I had never tried before. I found it in "Dutch Crunch." Dutch crunch is bread that has a rice paste painted on top that dries and cracks during baking. The result is an interesting mottled, crunchy surface. 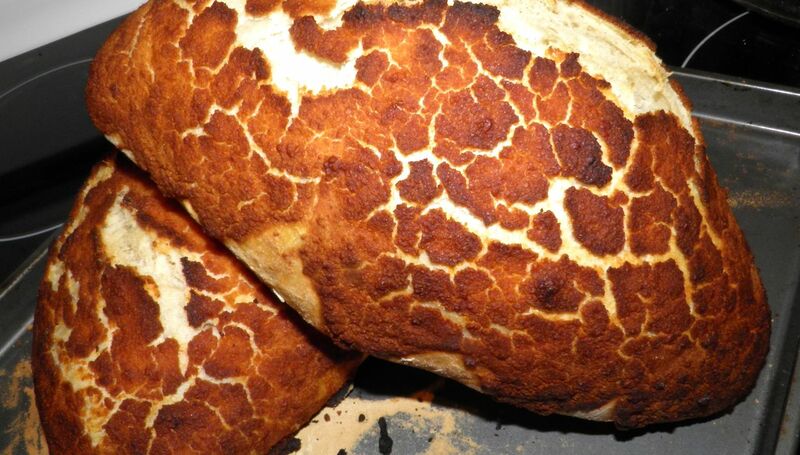 In the Netherlands, where I believe it originated, it's called tijgerbrood or tijgerbol, I'm assuming meaning "tiger bread". I would perhaps call it giraffe bread. That's what it looks like to me, mottled, not striped. But that's just me. This is after one minute of kneading. You can use this topping for any bread or rolls (which would be very interesting), so use your favourite recipe if you like. I'm in the country so I couldn't run to the store for rice flour. 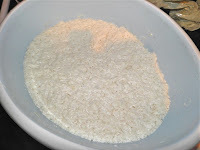 Never one to be bested by a recipe, I took 3/4 of a cup of arborio rice and ground it in a small blender. It worked perfectly. That bit of resourcefulness bodes well for the future. The result of the following bread recipe was a moist loaf with some larger holes. When warm it needed no butter at all – as most fresh bread doesn't. But if you want, gild the lily. Shape and let rise for 30 more minutes. Mix all the ingredients together, knead briefly, and cover with plastic wrap and a towel. Let rise overnight. I mixed at 9pm and began again at 8am. In the morning, knead briefly again using as little flour as possible. Cut in half and form into two football shaped loaves. Let rise again for 30 minutes in a warm spot. Preheat the oven to 425°F with a pan of water on the bottom rack of the oven. 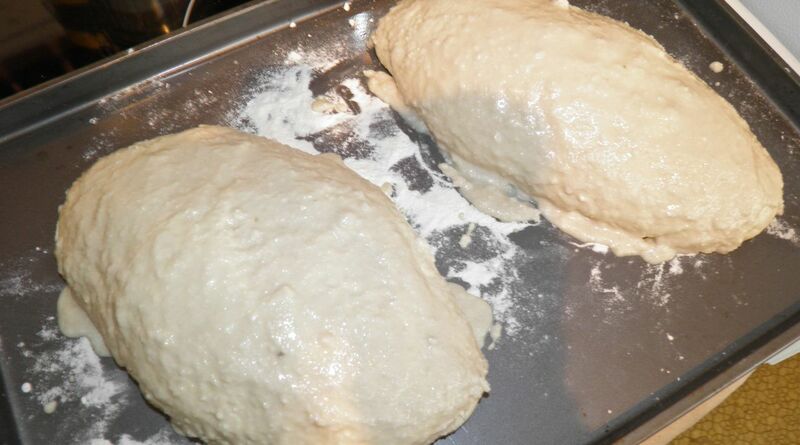 After the half hour, generously paint the top of each loaf with the crunch paste. Try to minimize the amount that pools on the tray at the base of the loaves. It will burn while baking. Immediately place the loaves in the oven. This is the "crunch" topping. Let bake for 10 minutes and then remove the water pan. 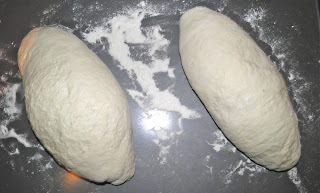 Bake for an additional 25-30 minutes, until nicely browned and the loaves sound hollow when tapped with your fingers. Let cool slightly and then serve. Butter is optional. 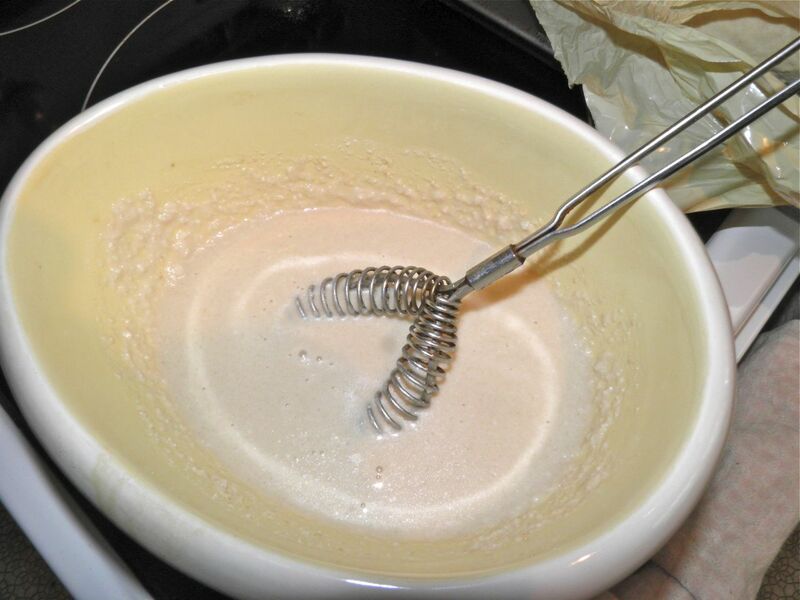 Mix all the ingredients together and let sit for at least 15 minutes to allow the yeast to react slightly. Generously paint the loaves. I didn't have a bruch. I used a spoon.